Look around at your desk, work station, or wherever you’re siting while reading this blog post. The odds are favorable there are multiple cables within reach right now! It’s true, everyone needs and uses cables. Not just in one’s personal life, but also in the workplace, in industry, and even in combat. As I write this in our New Bedford, Massachusetts headquarters, I can look around and see about a dozen cables. First is my phone charger cable - about 3 ft long with multiple 28AWG conductors, a black jacket, and has a male USB plug on one side with a male Micro-USB on the other side. Another cable close by is my coiled telephone cord that connects my headset to the phone base - this consists of RJ14 connectors and 4 x 28AWG conductors coiled in a black jacket. Another is the larger 3-way plug that is coming out of the power strip underneath my desk- this is a 3-conductor cord with a 115VAC rated male plug and overmolded strain relief. You get the point. Cables are everywhere and are used to pass power and data between devices. 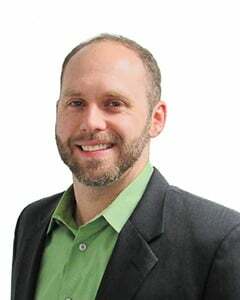 As demand for electronics grows, so does society’s reliance on cables. This is important because Epec builds every single one of these types of cable assemblies, but how we provide value to our customers is even more important. We offer customized variants of these very ordinary cables at a lower price, faster delivery, and exceptional quality when compared to many of our competitors. This allows you, our customer, to get to market faster with less risk and cost if you are searching for a custom cable assembly. As brick and mortar retail operations are displaced by lower cost online retail options, it has become much easier to search the internet to find the cable you want. But sometimes, one is left settling on a less than desirable off the shelf configuration, when a custom cable assembly will satisfy all program objectives. What if the standard 1.5 ft, 3 ft, and 6 ft lengths of your USB to micro USB cable won’t work? What if the standard 65% shielding coverage fails your radiated emissions qualification testing? What if you want to color match your company’s pantone logo and include a custom marking on your overmolded connector? It’s clear that if you can settle for an off the shelf solution, sometimes that is best. But what if you can’t settle and need a customized version of a readily available off the shelf design? These are the projects where Epec provides tremendous value by bringing low cost, high reliability custom designs to market. Before embarking on a large development effort for a custom component in your cable assembly, it’s always best to canvas the industry to see if something already exists that can solve your design goals. 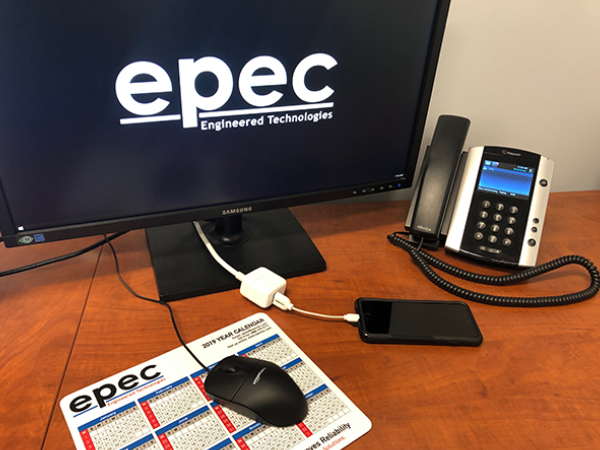 Epec has hundreds of existing common interconnects and connectors that can be customized for your specific application. Whether you’re passing audio, video, low frequency data, high frequency data, or power, many of these common interconnects have existing house tooling that we can offer for your custom cable assembly. This means that if the overmold shape for your connector is not critical, Epec can waive the tooling fee saving hundreds or even thousands of dollars. Utilizing house tooling can also help shave weeks to months off your delivery schedule. Listed below are a few of the standard industry connectors that Epec may be able to offer house tooling on. Considering a standard connector in your cable is not the only way to decrease cost and lead time in your custom cable assembly, selecting readily available bulk wire can equally help your project. Yes, sometimes customized bulk wire is required, but why impart this requirement if it’s not truly necessary? Is your silver plated copper requirement necessary for your application? Or is the silver plating just a carryover from another project with a different operating environment? What could seem to be minor material composition differences can amass to enormous cost increases that swallow projects. Custom wire can require sizable minimum order quantities - often up to 5,000 linear feet or more. Listed below are some of the numerous UL wire specs that we use that help reduce the impact of long lead times and minimum order quantities. So, Do You Need a Cable? Before embarking on a design project where you plan to 3D model a custom connector, have 3D printed and cast urethane prototypes built, and spend weeks or months tinkering with overmolded material durometers, Epec may already have something similar in production that can get you into production much faster and for thousands of dollars less. Engaging a full-service engineering and manufacturing partner like Epec early on in the design process may help resolve numerous unanswered technical questions for those who admittedly are not experts on cable design and manufacturing. There are countless projects where an off the shelf cable design will work just fine - but if any level of customization is needed, early engagement with Epec will help get your design to market faster.